You are here: Home 2012 December What Events Defined Cisco’s 2012? 2012, it was a busy year for Cisco. From software defined networking challenges to killing Cius and corporate restricting moves. In just over two years since it started shipping, Cisco announces that it landed over 10,000 customers for its Unified Computing System (UCS) server platform. UCS began shipping in July 2009 and it is now on an annualised order run rate of over $1 billion, Cisco says. Cisco is No. 4 in the overall server market after three years in the business, No. 2 in x86 blade servers in the US and No. 3 worldwide, according to CEO John Chambers. Cisco made its most strategic acquisition in years when it bought video software titan NDS for $5 billion. The acquisition is in keeping with Cisco’s strategy to drive video into as many markets as it can in order to create demand for its routers and switches. But the NDS deal is more than that. Cisco has made no bones about the fact that it is looking to deepen its software and services expertise in order to drive more revenue streams for the company and grow in areas aligned with its router and switch hardware focus. Software is 80% of NDS’ revenue and the remainder comes from integration services. Cisco confirms previous reports that it is funding Insieme Networks, a potential spin-in start-up developing products to help stock Cisco’s nascent programmable networking lineup. Cisco invested $100 million in Insieme, which is led by three Cisco engineers: Mario Mazzola, Luca Cafiero and Prem Jain. The three led two other Cisco spin-in start-ups – Andiamo Systems, which made storage-area network switches, and Nuova Systems, which developed Cisco’s Nexus 5000 series data centre switches. Cisco said it has the option to buy Insieme for $750 million to $850 million, and the company is believed to be developing 100G programmable switches with a significant storage component, and a controller. Cisco kills its Cius business tablet less than a year after it started shipping, citing an inability to compete with workers using their own personal devices for business – such as Apple’s iPad – and the cloud. 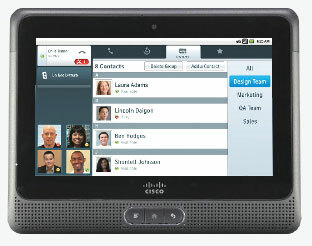 Indeed, Cisco’s own internal BYOD practices helped doom Cius. The company instead will focus on software offerings like its Jabber and WebEx products for more popular tablets and smartphones supporting a variety of operating systems. And Cisco’s strategy for doing so will be led by its third collaboration head in less than a year after Cisco’s collaboration business has been hampered by execution issues and declining sales. The business was flat in Cisco’s 2012 third quarter with TelePresence hit by decreased spending in public sector and enterprise. In the fourth quarter, collaboration saw an 8% decline which was repeated in the first quarter of fiscal 2013. Cisco ends the suspense surrounding its software-defined networking strategy by unveiling the Cisco Open Networking Environment (ONE), a set of APIs to enable its routers and switches to be programmable through software. Cisco ONE is designed to make Cisco products flexible and customisable to meet the needs of cloud, mobility, social networking and video. In addition to APIs, it includes agents and controllers, and overlay network technologies designed to make each layer of a network – from the transport layer up through the management and orchestration layers – programmable in order to make it adaptable and extensible to changing needs. This differs, Cisco says, from more commonplace approaches to SDNs in which the control plane is decoupled from the forwarding plane and OpenFlow is used as an API, agent and protocol to command switches from an external controller. Cisco cuts 1,300 jobs, or 2% of its workforce, in a “limited restructuring” to realign resources and streamline its organisational structure. The reductions are said to hit Wide Area Application Services (WAAS) sales and engineering, as well as public sector operations and Advanced Services. The cuts are followed by the resignations, in the same week, of Paul Mountford, head of Cisco’s global enterprise sales, and Amanda Jobbins, vice president of global partner marketing. They both are from the UK and both had held their most recent positions at Cisco for less than two years. Cracks start to appear in the 3-year-old VCE data centre coalition between Cisco, EMC and VMware. VMware buys network virtualisation start-up Nicira for $1.26 billion, ushering VMware into software-defined networking for the data center, and increasing competition and straining relations with longtime partner Cisco. 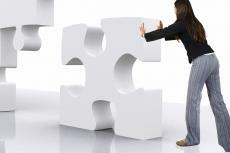 The acquisition came a mere five weeks after Cisco rolled out its own Cisco ONE programmability strategy. Reports surfaced that VMware even outbid Cisco for Nicira. And later, EMC would line up Lenovo as a server partner, putting additional pressure on Cisco as a server partner in the VCE coalition and inviting additional scrutiny of the stability of VCE as data centre giants look to own and offer a complete IT stack. Cisco CEO John Chambers hints at retirement and possible successors. Chambers suggests his time might be up in two to four years, and that 10 possible successors from within the company could replace him, including Rob Lloyd, executive vice president of worldwide operations; Chuck Robbins, senior vice president of the Americas; Edzard Overbeek, senior vice president of global services; and COO Gary Moore, who would assume leadership of Cisco if Chambers gets “hit by a bus.” Later, Moore and Lloyd are named co-presidents of the company, perhaps an indication of the succession order. Cisco cuts ties with Chinese partner ZTE, after an internal investigation indicates ZTE sold Cisco equipment in Iran despite US sanctions forbidding such sales. The move coincides with a US Congressional report encouraging American companies to cease doing business with Chinese telecom vendors such as ZTE and Huawei due to national security concerns. The moves ignite a war of words between Huawei and Cisco, leading to speculation of an impending trade war between Cisco and other US technology companies, and China. Cisco customer California State University accepts a $22 million bid from Alcatel-Lucent to refresh its system wide network after Cisco’s proposal overshot that by $100 million. The contract covers all 23 CSU campuses, but San Jose State decides to go with Cisco anyway, handing the company $28 million for its “Next Generation Technology Project” without a competitive bid. The situation raised questions on San Jose State’s motivation and the inner workings of the deal, considering the challenging financial situation facing the State of California and that SJSU is spending more for its own network than CSU is spending to upgrade the entire university system. It also set off a manhunt within Cisco for the source of a leaked internal memo taking issue with CSU’s assertion that Cisco’s bid was six times that of Alcatel-Lucent’s. Cisco CEO John Chambers discloses – again – that Cisco intends on becoming more of a software and services company. The company plans to double its revenues from software over the next five years from $6 billion to $12 billion. At the same time, Cisco also disclosed – again – that it’s intent on becoming the No. 1 IT vendor in the industry. Both pronouncements were made at the company’s Financial Analyst Conference in New York on 7 December. The new news from the conference was the unveiling of a new global ad campaign, pushing Cisco’s “Internet of Everything” theme and proclaiming “Tomorrow Starts Here”. This replaces the company’s “The Human Network” theme.